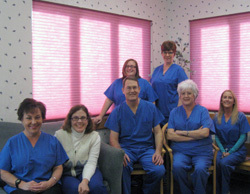 Our website should help answer many of your questions about our practice. You can find out how to make an appointment, meet our staff, what procedures we perform, our practice philosophy, and much more. Feel free to contact us to setup an appointment. Cosmetic surgery is performed to reshape normal structures of the body in order to improve the patient's appearance and self-esteem. Cosmetic surgery is elective and is usually not covered by health insurance. Dr. Strinden sees patients Monday and Wednesday in clinic. 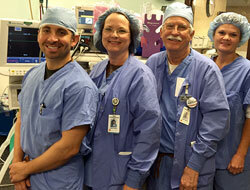 He operates on Tuesdays and Thursdays at Memorial Hospital, Woodland Heights Hospital or Gaslight Surgery Center. Fridays are reserved for cosmetic surgery in the office. 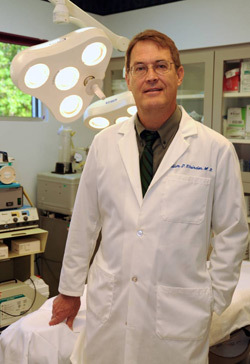 Dr. Strinden is the full owner of Lufkin Plastic Surgery. In case of an after hours emergency, a call to the office will reach the page operator at Memorial Hospital and they will in turn page Dr. Strinden or the doctor on call. If you need to cancel an appointment, please let our appointment desk know as soon as possible. On your first visit, please bring your driver’s license, list of medications, and insurance card if you are a reconstructive patient. Please arrive a few minutes early to complete paperwork. Let us know if you have had radiologic studies so Dr. Strinden can view them prior to your visit or request that you bring a copy. If you are a returning patient, please be sure to update your contact information and insurance information with the receptionist.